More than 242,000 residents signed up for 2018 health coverage using the Washington Health Plan Finder for the Affordable Care Act insurance. This is the highest number to date in Washington. 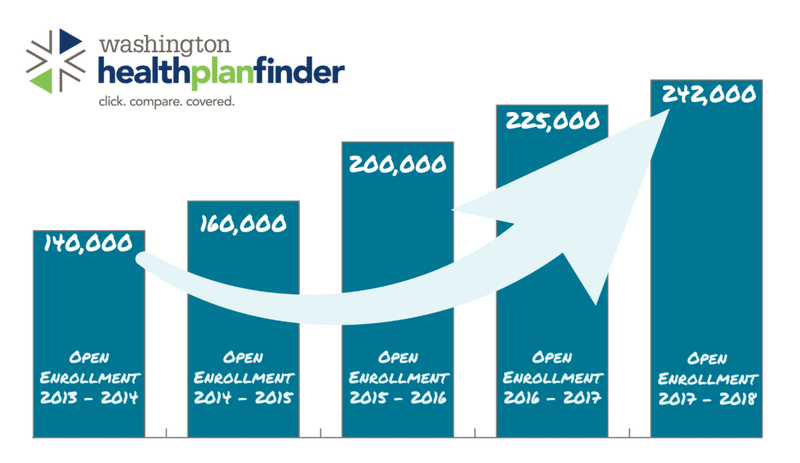 Enrollment in Washington Apple Health (Medicaid) is open year-round See if I Qualify.